Career mentoring: make a bet on your Ikigai! What are the professions that put at stake your best talents, in which you enjoy, are those valuable to the world and you can make a living with them? 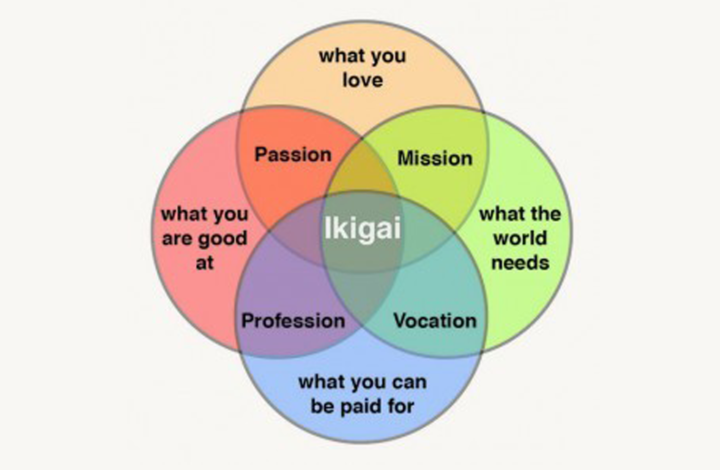 In this intersection of interests is your professional purpose (what in Japan they call your “Ikigai”). In 20 years of career I have had hundreds of conversations to advise professional careers or design good professional development plans (individual or collective). a. There is a shortage of professionals who have a high level of self-knowledge and have a well-defined professional purpose, which means that many job developments are due to luck or coincidence that there is good career management. b. Being clear about your “ikigai” (professional purpose) is not an easy or quick task and it is increasingly important given the growing labor competitors and the multiple job opportunities. d. Personal and professional self-analysis tools and career mentoring services can help you a lot in this important responsibility of managing job employability well. “Talent without technique is simply a bad habit” as Pablo Picasso said. What are your best talents? All people have some professional strengths that can be very valuable professionally. These strengths are the sum of talent, knowledge and skills and their power is multiplied if three factors are combined: strength, passion and training (repetition). Self-knowledge tools such as Gallup’s “Strengths Finder” identify your 5 biggest strengths among 34 skills and four areas of work performance (strategic vision, relationship capacity, influence and execution). A sample of the power to combine strengths and passion is the experiment on reading improvement between normal and large readers made by the University of Nebraska. The improvement of the normal students after training was of a good 66% and nevertheless the advanced ones increased their capacities an impressive 730%. What key attributes have the jobs you most enjoy? Knowing the characteristics of the positions that best take advantage of your talent is fundamental but, unfortunately for many people this is a “black hole”. There are people for whom it is key to work with a high level of autonomy and creativity and enjoy that each day is different. Others, on the other hand, prefer very structured roles, with job security and clear rules of the game. Improve the person-position fit concerns to everyone: the professional (showing courage, proactivity and self-development), the boss (with good leadership and focus on the growth of your team) and the organization (with clear policies of development of people). The “career anchors” methodology designed by Edgar Schein identifies 8 major types of preferences: functional / technical competence, management, autonomy / independence, security / stability, entrepreneur / creativity, service / dedication to a cause, pure challenge and lifestyle. Are your best talents valuable to the world? There are professional skills that have become obsolete in recent years. A clear example is computer technical knowledge of languages ​​that disappeared. It is therefore very important to know if your 4-5 key skills have market value as the basis of your current and future employability. And another complementary aspect is that your profile is visible, known and well valued internally and in the market. Personal branding and quality networking are important in a majority of jobs since we live in an interconnected world. Providing value, generosity, honesty and tenacity are basic ingredients to achieve good results in the medium term. Techniques such as the analysis of labor employability and the map of contacts (internal in your organization and external in the market) are very useful to enhance self-analysis and generate a good action plan. Can you achieve reasonable economic rewards? Compensation policies have been increasingly professionalized in recent years. The remuneration is increasingly refined based on experience, skills, added value to the business and volume of professionals in each position. Therefore, it is important to analyze trends and market surveys and design a good value proposition so that your value is recognized. Nobody knows which will be the demanded positions nor the professional competences of success in 5 years from now. And this can give us a logical fear or we can see it as an opportunity to reinvent ourselves continuously. a. The best companies increasingly select and develop their employees based on “new elements”: passions, key strengths, potential for professional growth or social skills. With less weigh for the always valuable training and previous experiences. In an environment of restrictions on staff growth and accelerated change, this approach increases innovation, diversity of teams and opportunities for promotion and horizontal or vertical growth. 1. Self-knowledge: focusing on your strengths and only working on improvement areas if they are a key limiting factor. 2. Humility and agility to learn and unlearn. 3. Personal brand: authentic, visible and connected with others (networking). 4. Risk: making decisions that help you move forward and out of the comfort zone. 5. Resilience: repetition is the key to skills improvement. 6. Focus: Continuous improvement of your key professional strengths. 10. And last and most important: identify and bet on your purpose (“Ikigai”). In that territory you will achieve your best professional version. I encourage you to go deep with passion on this journey to your Ikigai. 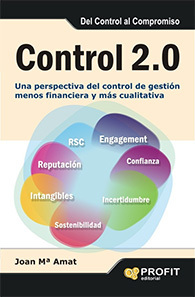 Post also published in Capital Humano 360 in Spanish.